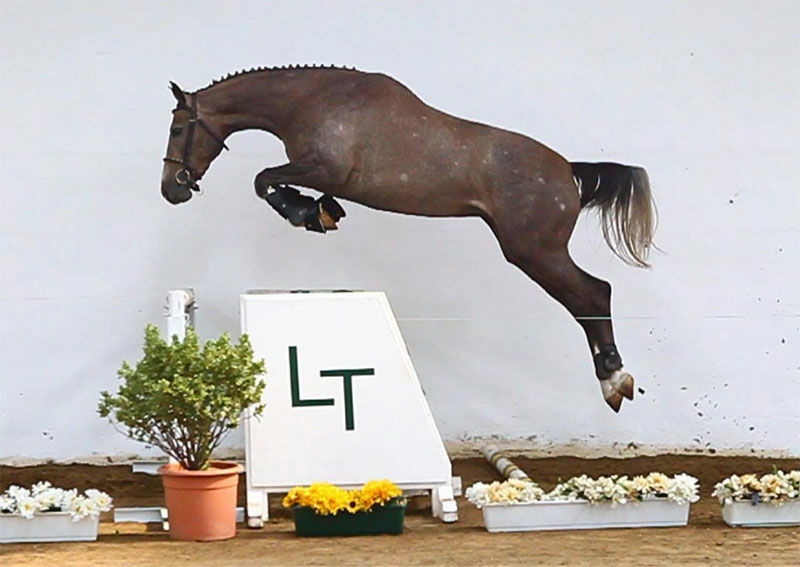 We are pleased to share with you our catalog of the 14th Annual Sport Horse Auction to place next May 19th, at the Club Hipico Argentino in Buenos Aires. You can access the online catalog by clicking HERE. Bloodlines include Milano de Flore, Indoctro, Concord, Dimitil de Terlong, T. Luftballon, Frascator, Mail, Carnaval de Rouet, Life, Quitender, Fergar Mail, and Schiron Z amongst others. 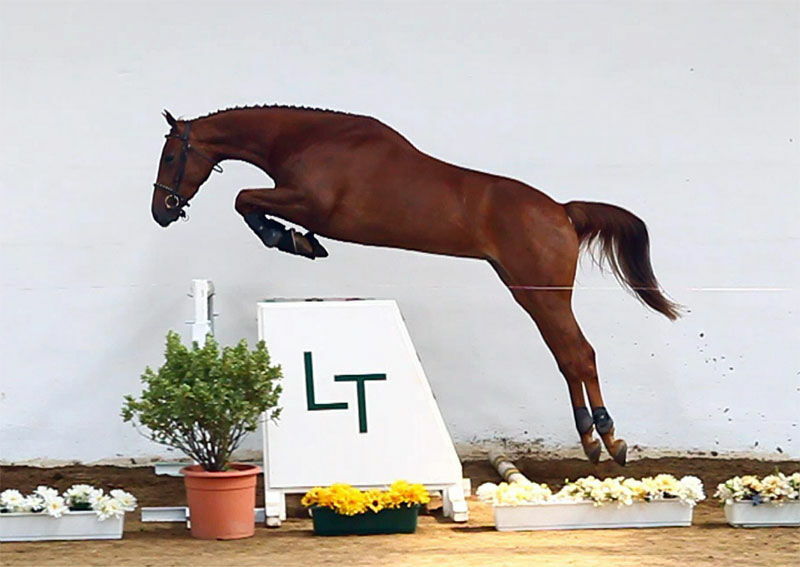 Milano de Flore was the Argentine National Champion in 2011. 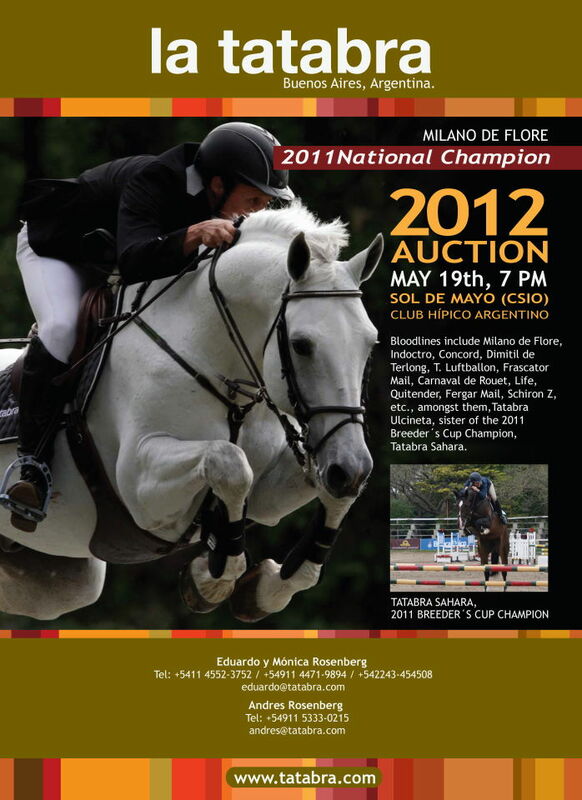 We also wish to highlight Tatabra Ulcineta, sister of the 2011Breeder´s Cup Champion,Tatabra Sahara. 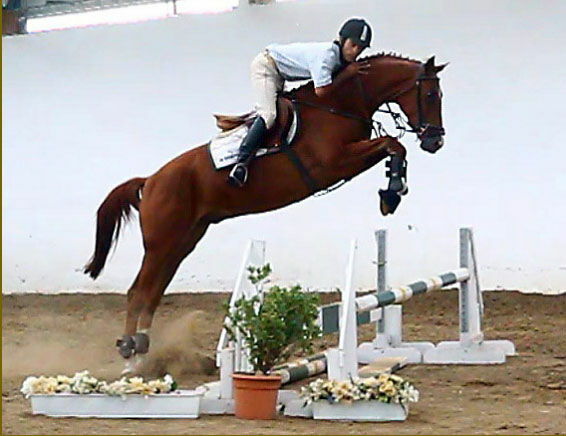 As you have come to expect from us, the horses are well advanced in training and already jumping as part of meticulous and planned training program. If you would like to program a visit to the stud or have any queries, please contact us by mail by clicking HERE.